They’re out there just beyond the horizon. Those wondrous places where the real magic of the world inspires awe and stirs the soul. 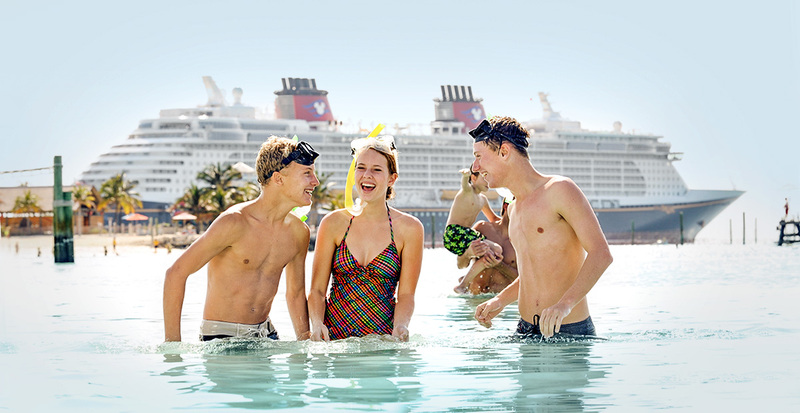 Sail aboard a ship of dreams with Disney Cruise Line. 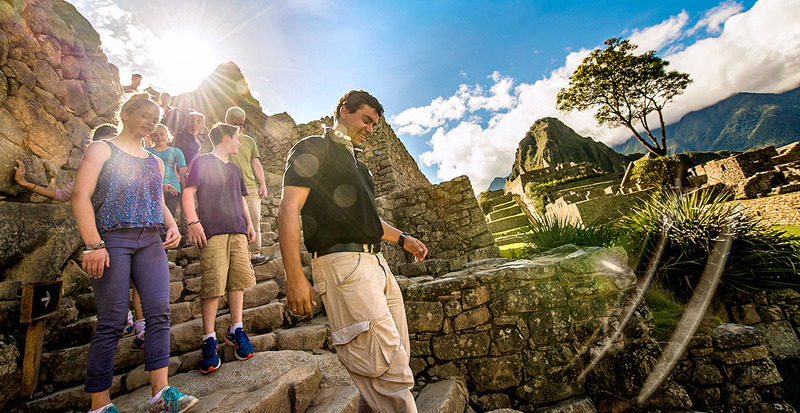 Live the adventures of the world’s most amazing places with Adventures by Disney®. 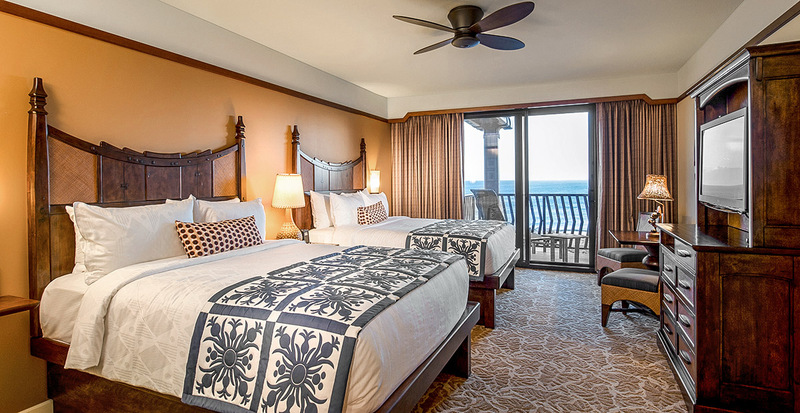 And escape to a Hawaiian paradise at Aulani, A Disney Resort & Spa. When you journey with Disney, the experts in family travel, you can rest assured that every part of your vacation is carefully and specially crafted so you can focus on sharing these incredible experiences. Watch the video below for a peek into the magical places and possibilities that await your family. Discover the world and its exciting wonders together at one of over 30 destinations with an Adventures by Disney® vacation. Whether climbing the glorious mountaintops of Machu Picchu (above), snorkeling in the depths of the Great Barrier Reef or learning how to make authentic pizza in Italy, your family will become part of the destination’s story as you are immersed in its peoples, places and cultures. Each trip is more than just a vacation. Adventure Guides and local experts are with your crew every step of the way to make everything special. Plus, each itinerary offers unique experiences that every member in your family will enjoy. Teens can pick up a paddle on a thrilling river raft excursion through the dramatic landscapes of Iceland. Adults can learn the relaxing art of Tai Chi from a master in Vietnam. 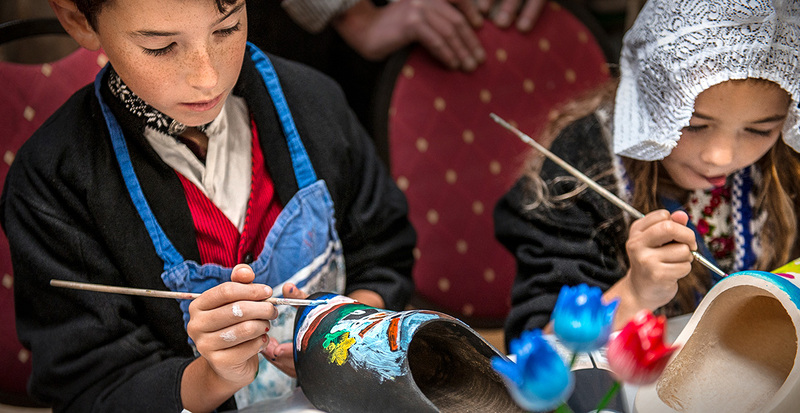 And little ones will love painting their own colorful wooden clogs in Amsterdam (above). 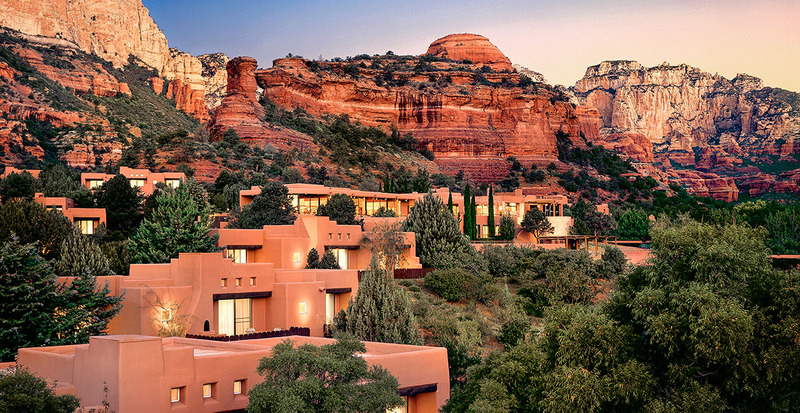 Whether you’re on a private tour of the Vatican museum, resting in your luxurious resort in the heart of Sedona’s stunning red-rock landscape (above), or on a short flight from Ayers Rock to Sydney, it’s all included as part of your unforgettable family vacation. All you need to do is focus on the exciting adventure at hand. The adventures don't stop there! 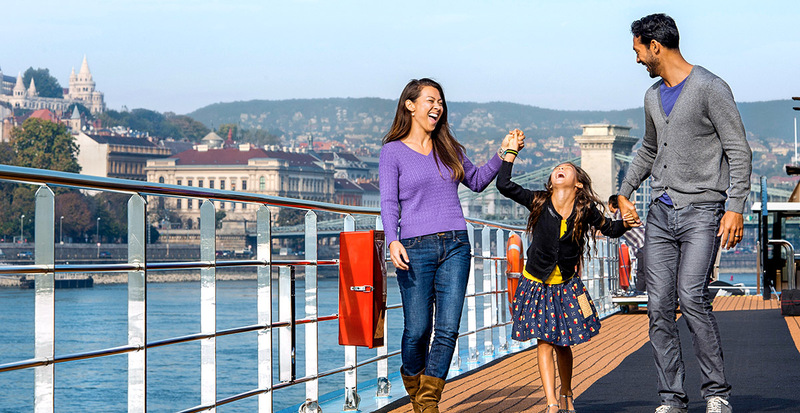 Discover Adventures by Disney® River Cruises with exclusive sailings down the scenic Danube, Seine and Rhine rivers on the distinguished ships of AmaWaterways, a leader in luxury river cruising. Enjoy stops along the way at fascinating destinations in the heart of Europe, with activities to please every member of your family (above). 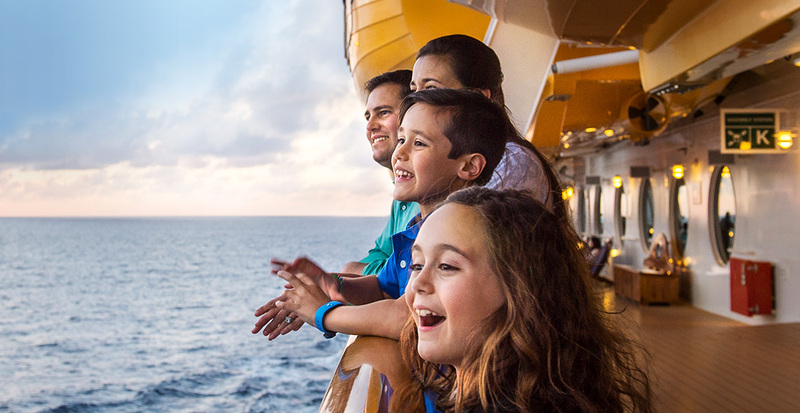 Set sail with Disney Cruise Line on a magical voyage full of brand-new discoveries, adventures and moments that bring your family closer together. From the iconic landmarks of Europe to the azure Caribbean Sea and Castaway Cay, Disney’s private island, there are countless places waiting to be explored. Make any one of the four stunning Disney Cruise Line ships your family’s home at sea. From bow to stern, each ship is filled with fun and magic for every member of your crew. 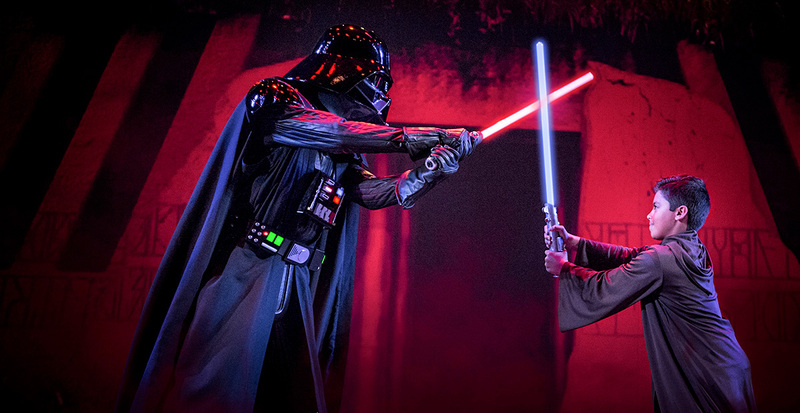 Watch your kids’ faces light up with joy at Disney-exclusive activities like seeing Tangled: The Musical or training to be a Jedi during Star WarsTM Day at Sea (above) on select Caribbean sailings. Adults can enjoy some “me time” at the luxurious spa or dance into the night at exciting nightclubs and lounges. When you pull into port, the adventure continues. With Port Adventures expertly selected by Disney Cruise Line, you can make the most of your time ashore. Be filled with awe as you soar over Alaska’s stunning glaciers. Pretend to be royalty for a day while exploring a castle in Europe. Or snorkel amidst stingrays in the warm waters of Disney Castaway Cay (above). Best of all, every night your family gets to return "home" to the comfort and magic of your Disney ship. Uncover the wondrous beauty and the spirit of Hawai‘i with your ‘ohana at the magical paradise of Aulani, A Disney Resort and Spa (above). 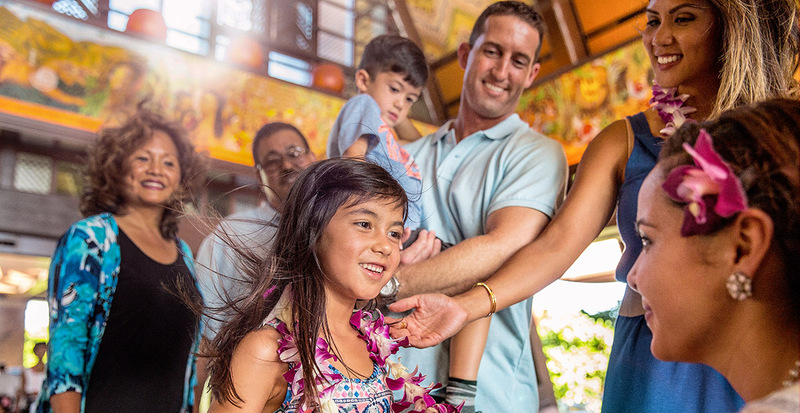 Aulani means “messenger of a chief,” and here you and your loved ones will be a part of the amazing stories and culture of the Hawaiian islands. Kids can visit Aunty’s Beach House, a complimentary kid's club, where Aunty shares her collection of Hawaiian games, crafts and songs. You might even get a special visit from some of Aunty’s Disney friends! Then step outside into some fun in the sun. From thrilling water slides to a tropical lagoon, Waikolohe Valley is a fun destination for kids — and everyone else. 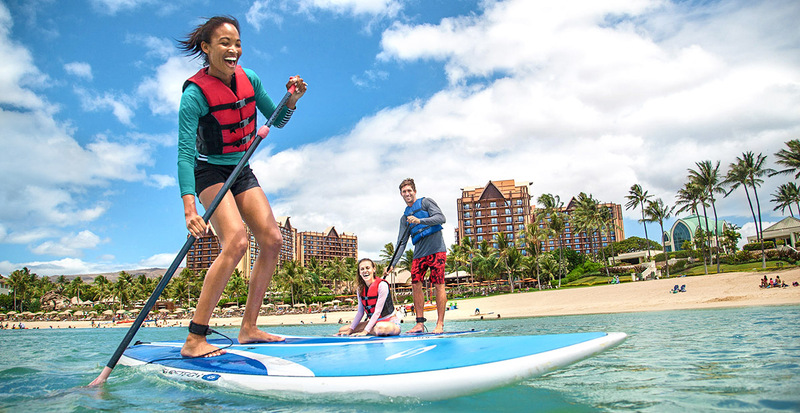 You can also learn how to surf the ocean's gentle waves or go stand-up paddleboarding (above). Come evening, satisfy everyone's appetite at a wide range of dining offerings, from a bountiful buffet to classic Hawaiian fare and the award-winning nighttime KA WA`A luau experience. Whether you are gathering generations for a reunion or taking your small, tight-knit family on a vacation, we'll help you find the right accommodations. From cozy standard rooms to spacious villas, like the Grand Villa (above), your home base is filled with festive island décor. Don't forget: With villa accommodations, you get all the amenities included in a room, plus added conveniences including a separate living room, a full kitchen, a washer/dryer and more. Take part in the stories that make the world so astounding. Meet people that bring legendary places to life. And see things beyond even what you’ve imagined. Call us today to make your Disney vacation possible.